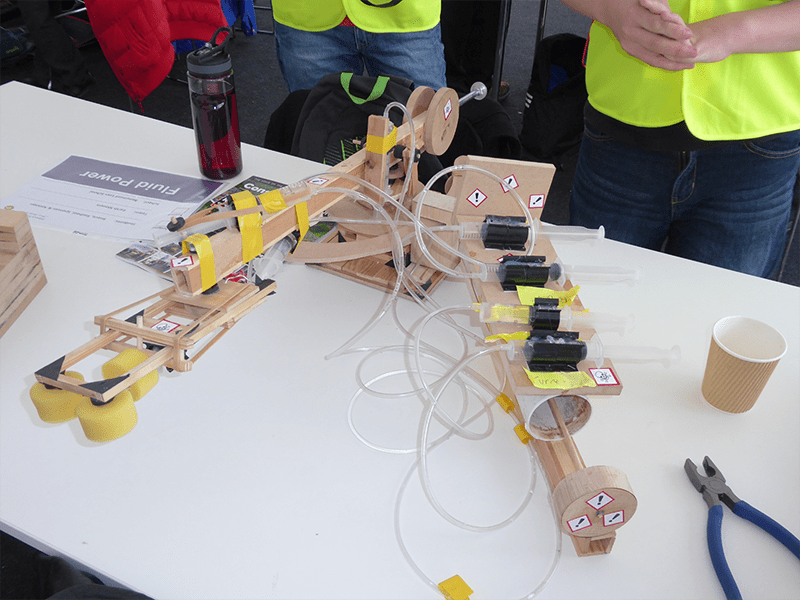 Our inaugural Fluid Power Challenge took place at the Construction Equipment Association ‘Plantworx’ event held at Bruntingthorpe proving ground in Leicestershire on the 8th June. The competition ran alongside the Primary Celebration event, and saw two secondary schools bring two teams each to compete against each other. Their mechanical designs were amazing, as were the students designing and manufacturing them. Both schools fully embraced the competition and not only came with fully functioning devices but they were backed up with the relevant design work incorporating the maths and science involved in the problem solving process. 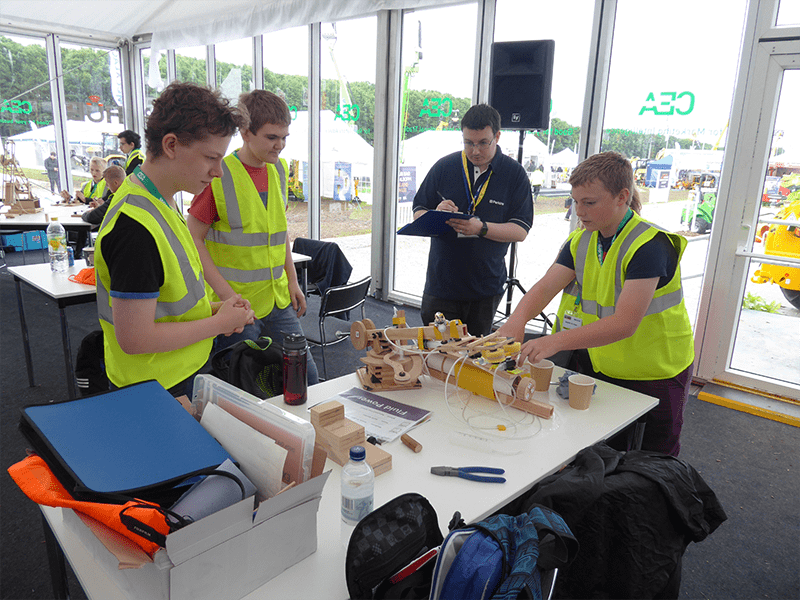 As a testament to the schools, there were many engineers on site who were very keen to try out the designs and talk to the students, who themselves were asking about the route into employment in the construction industry. A very successful first run at the Fluid Power Challenge.